Yesterday’s GHA Employee of Year Awards boasted a huge turnout, with 150 GHA staff members gathering at the John Mackintosh Hall to celebrate the long and loyal service of staff who have worked for the GHA for more than 25 years and a range of individual and team acts of outstanding performance in 2012 in the 8 individual award categories. Awards were presented by Minister for Health, Dr. John Cortes and Miss World 2009, Kaiane Aldorino. A total of 10 staff received awards for 25 years GHA service, 15 for 30 years’ service and 8 staff received awards for 35 years service. Three civil service workers from British Forces Gibraltar were presented with an Imperial Service Medal at the Tower in the Naval Base today. 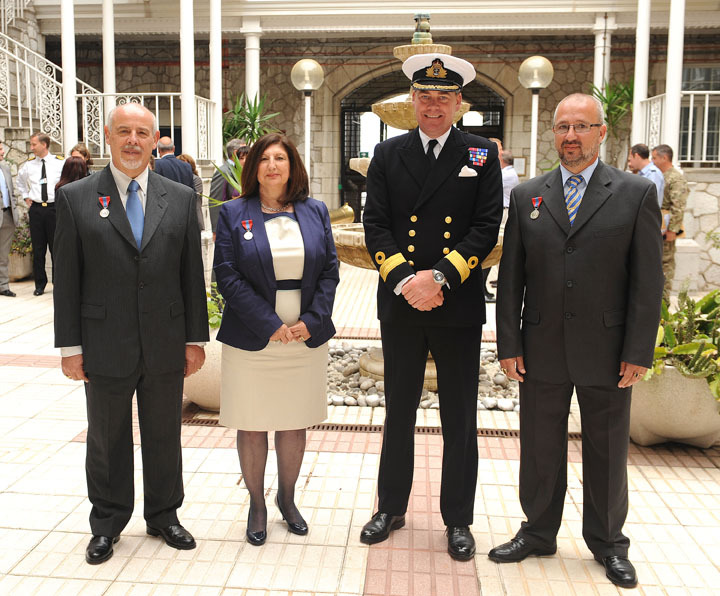 Mr Humberto Aguilera, Mrs Concepcion Pizarro and Mr Hedley Trico were presented their medals by Commander British Forces Commodore John Clink OBE. The medals are awarded to individuals leaving the service that have given over 25 year’s meritorious service. 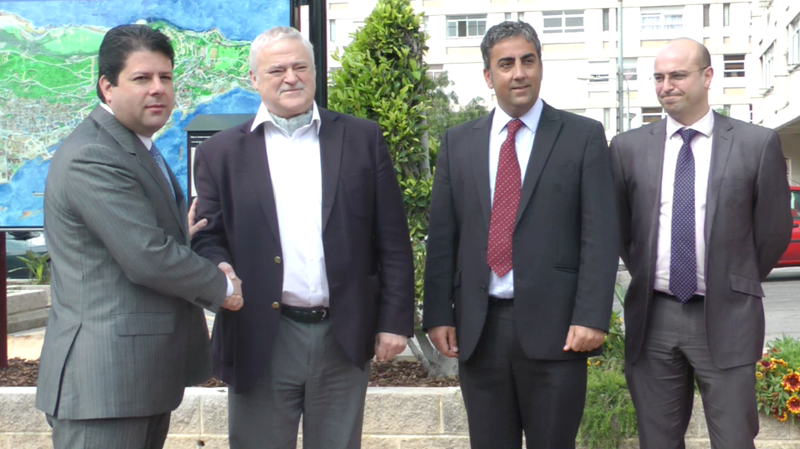 This morning, Chief Minister Fabian Picardo joined current housing Minister Paul Balban in visiting the three main Government Estates as Cladding and insulation works begin. The project is part of the flagship project to refurbish Laguna, Glacis and Moorish Castle Estates. The huge project, which will be carried out over the next three years, includes insulating, cladding, roofing and window replacement for all 34 apartment blocks in Laguna, all 8 in Moorish Castle and all 10 in Glacis Estate. Laguna and Moorish Castle Estates will also see lifts installed in many of their blocks. Commenting on the process, Lionel Recagno, Housing Infrastructure Manager noted that although the process will begin slowly, it will pick up. May 03 - Sandy Bay to be Restored! As part of a Government manifesto commitment on beach restoration, an Inter-ministerial committee comprised of Tourism Minister Neil Costa, Technical Services Minister Paul Balban, and Environmental Minister Dr. John Cortes, yesterday announced the commencement of works to be carried out at Sandy Bay. Sandy Bay lost a significant amount of beach area in recent years due to storms, so in order to make the beach useable once more, works to build two adjacent, curved groynes will commence in the coming weeks. Professor John Stotesbury of the University of Eastern Finland recently presented a paper on Gibraltarian author’s M. G. Sanchez’s work at the University of Zaragoza’s “Acts of Remembrance Conference”. His presentation was held on April 25 at the University's Instituto de Ciencias de la Educación. 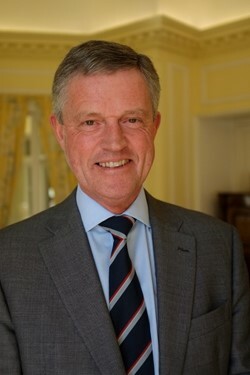 In his talk Professor Stotesbury focused on M. G. Sanchez’s novella Diary of a Victorian Colonial, demonstrating how it uses the narrative form of a dying man's diary not only to recreate the character's immediate past but also to "remind" modern readers of Gibraltar's colonial history. The event was well attended, with several of the attendees later quizzed Professor Stotesbury about Sanchez’s books. This is the first time that a Gibraltarian author has been the subject of a scholarly talk at a Spanish university. 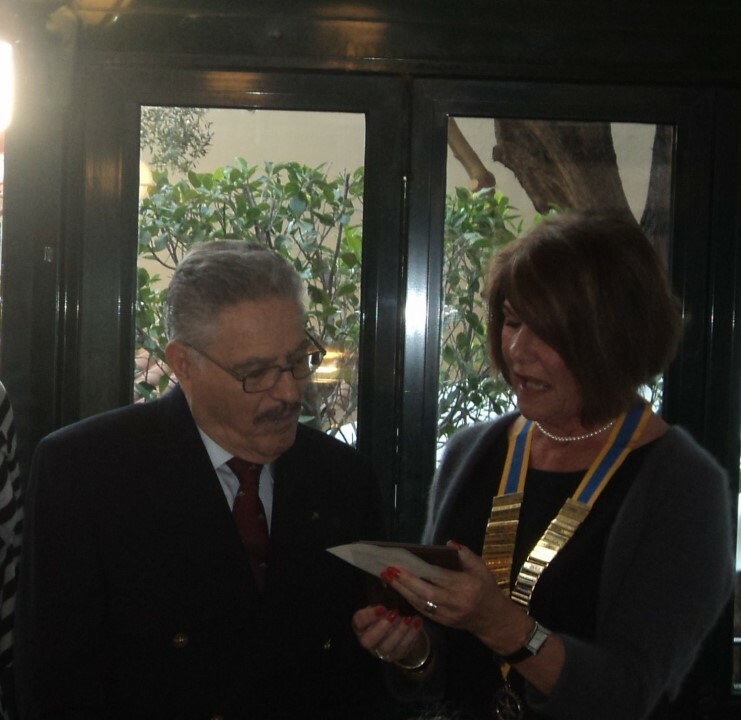 The Gibraltar Rotary Club’s annual Vocation Award Presentation and Speaker’s Party was held recently, at the Royal Calpe. The awards are offered by the Rotarians to give recognisance to members of the community that are ‘worthy of special attention’. Three awards were presented to ‘a young person’, ‘a civil or public servant’ and ‘an Elder’. President of the Club, Jennifer Stentiford hosted the event. She presented the Youth Award to Ben Donohue who was nominated for his selfless dedication to raising money for the Jamie Inglis appeal. 8-year-old Ben carried out a marathon swim at Nuffield Pool last summer, in order to raise £10,000 in aid of 3 year old Jamie Inglis, who suffered from Nueroblastoma. Ben made the decision to raise the funds without even meeting Jamie. 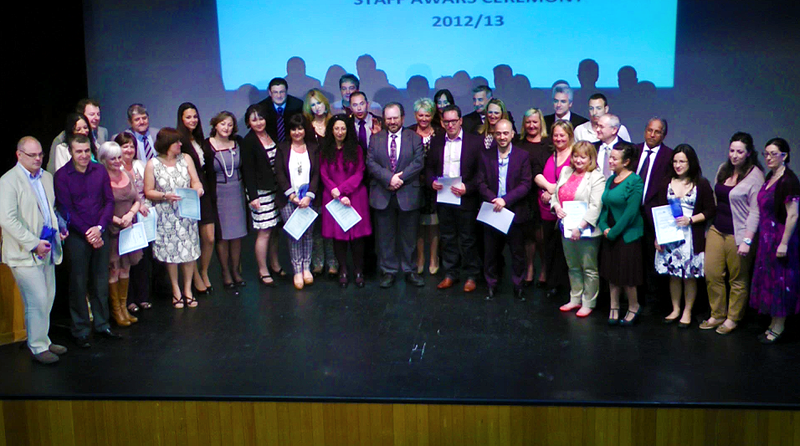 This evening will mark the 6th annual GHA Staff Awards Ceremony at the John Mackintosh Hall. 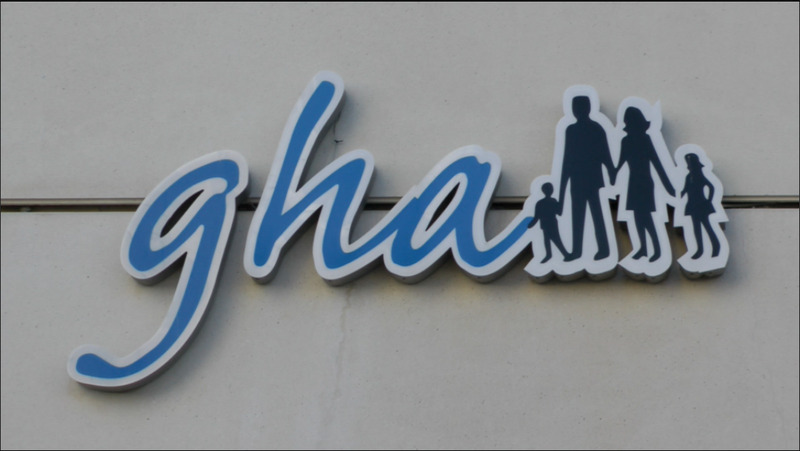 GHA staff and their families will attend the ceremony to receive awards for their long service with the GHA. In addition there will be eight special awards given to GHA staff in recognition of outstanding individual and team performance in 2012. These awards have been the subject of nominations from patients, relatives or carers of patients, and GHA staff, and cover a number of categories including; GHA Support Services Employee of the Year – Behind the Scenes, GHA Support Services Employee of the Year – Frontline, GHA Nursing Assistant/Auxiliary Nurse of the Year, GHA Qualified Nurse of the Year, GHA Allied Health Professional/Healthcare Scientist of the Year, GHA Ward/Department of the Year, GHA Doctor/Dentist of the Year and GHA Employee of the Year. The Ministry of Culture wishes to remind local artists of the Spring Art Competition, which will be held in May as part of the Gibraltar Spring Festival. Closing date for receipt of entries is 6pm on Friday 10th May 2013. 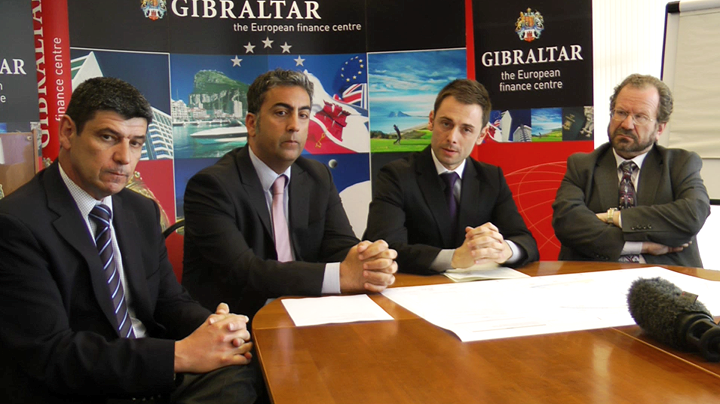 The competition is open to Gibraltarians and residents of Gibraltar aged 16 and over as at 22nd May 2013. A maximum of two paintings and two sculptures may be submitted by each artist. Works must be original and not previously entered competitively, except for entries submitted in the Agency’s art competition for Young Artists. Entries will be exhibited at the John Mackintosh Hall, from the 23rd May to the 7th June 2013. The Queen’s Birthday Garden Party will this year be held in the Convent on the evening of Thursday 13th June. A number of invitations will be reserved for members of the public who have not previously had an opportunity to attend a Garden Party at the Convent.